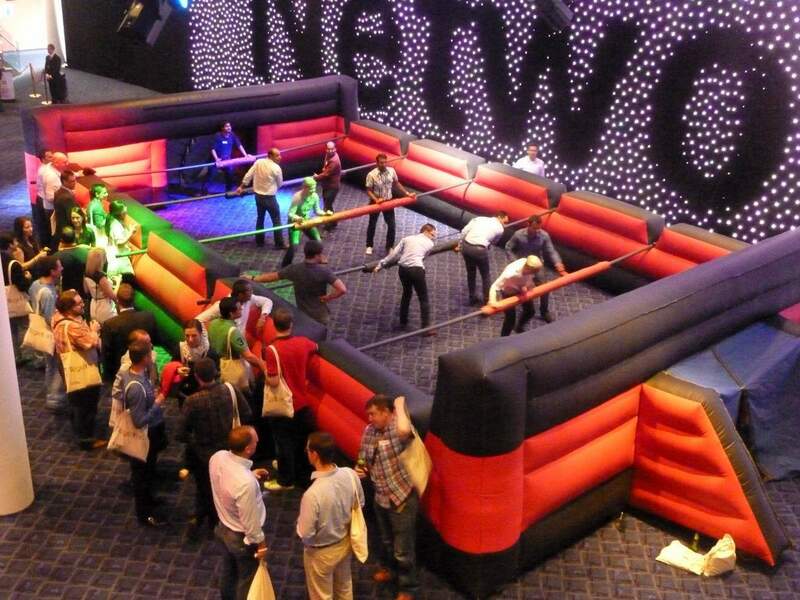 Kick off your event with our Human Table Football. 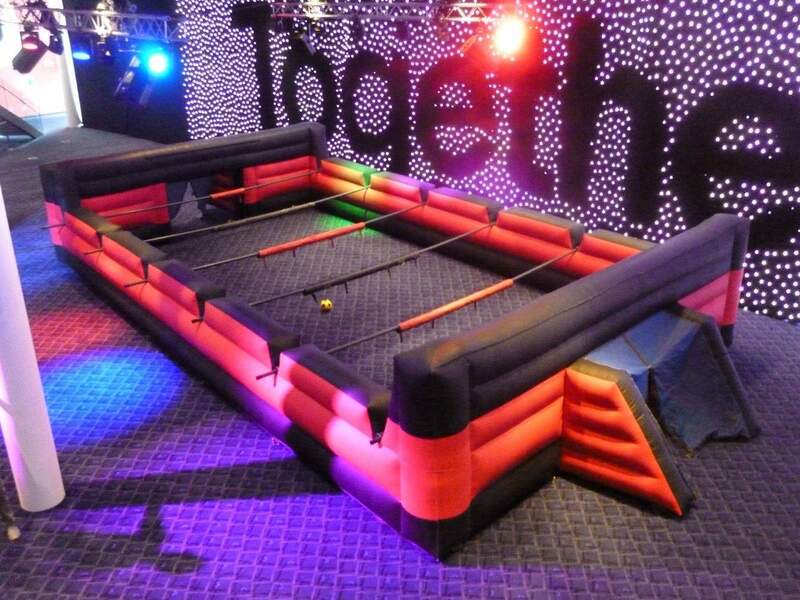 This life size game of Foosball is great for team building, corporate events and family fun days. 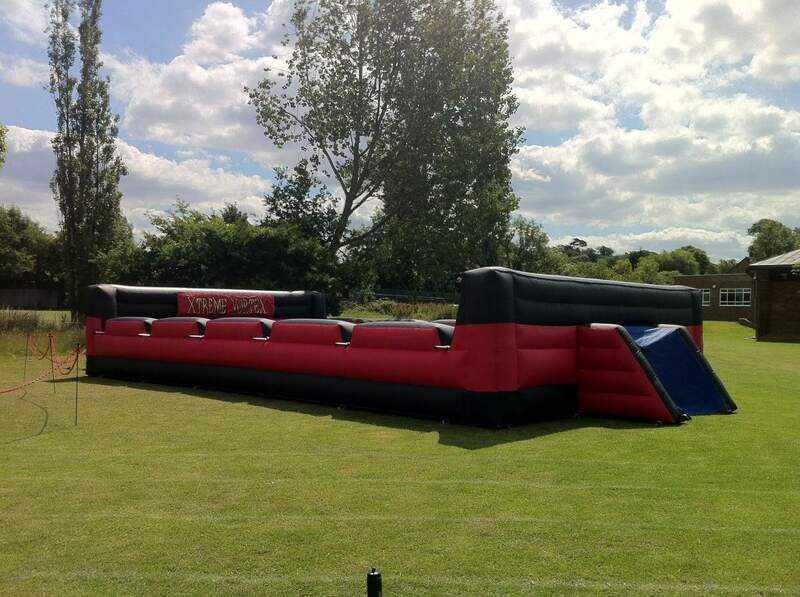 The Football game is 5 aside so enter the pitch with your team, choose your position and let the fun begin. 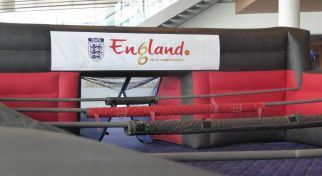 Football players work as a team and the same is required for the Human Table Football. 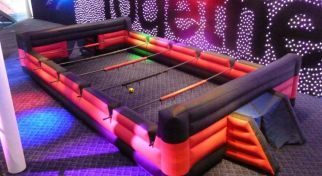 Players on the same bar must move left and right together to move across the Football Pitch, defend and attack as you try to set up your striker and score those all important goals! 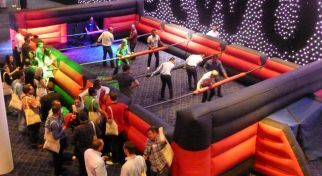 Our deluxe Human Table Football is played using bars, not ropes so you really do get the authentic feeling of the Human Table Football game. 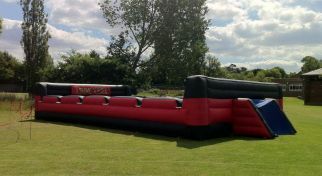 The walls on our Inflatable Football pitch are higher than some pitches to ensure the ball stays in the pitch and in play for longer ensuring your game play is at its best. 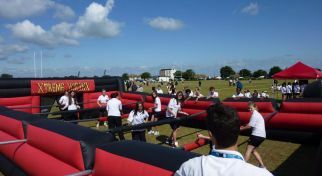 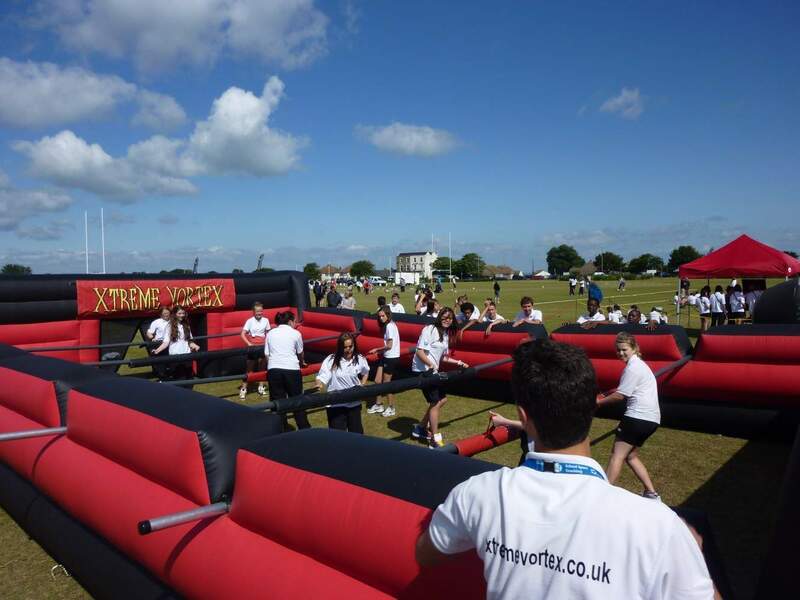 Like many of our activities the Human Table Football can be customised with your branding for your event. 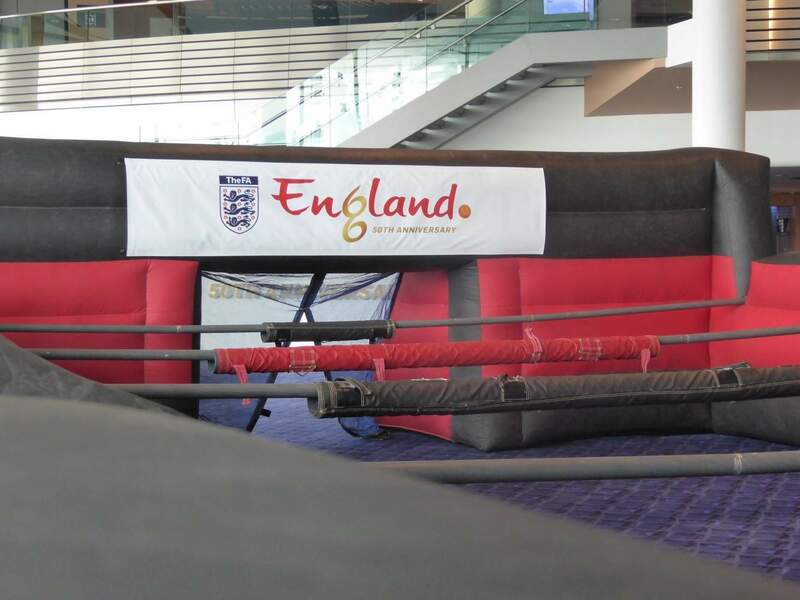 The banners at each end of the Football Inflatable are removable and we can use this area to apply your branding. 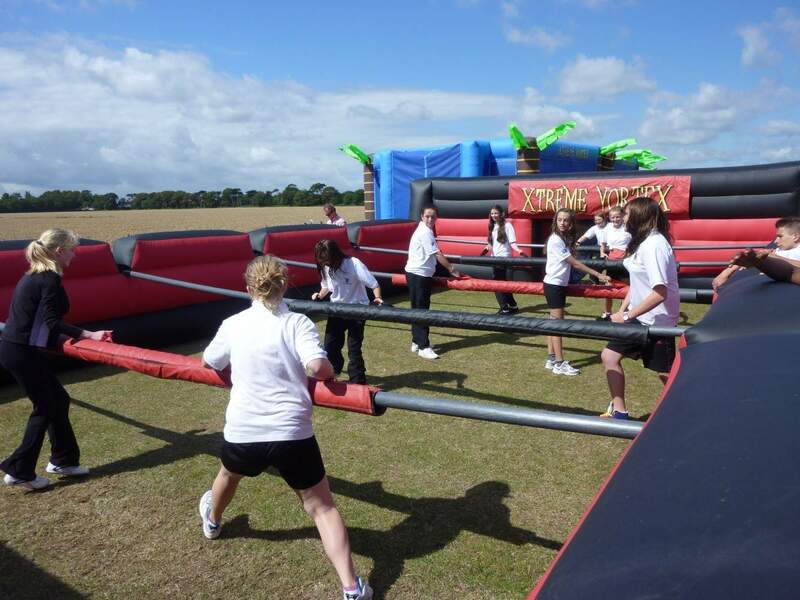 If branding and customisation is important for your event please take a look at the available options below. 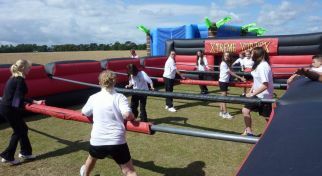 The Human Table Football can be branded or customised for a specific brand, product or event theme, making it perfect for Marketing Events.